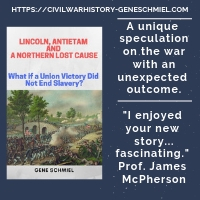 • Under the Crescent Moon with the XI Corps in the Civil War - Volume 1: From the Defenses of Washington to Chancellorsville, 1862-1863 by James S. Pula (Savas Beatie, 2017). Thanks to the work of Christian Keller and others like him, the Eleventh is no longer widely regarded as the "German" corps that ran away at both Chancellorsville and Gettysburg, their alleged cowardice bearing much of the responsibility for the embarrassing Union defeat at the former battlefield and near defeat at the latter. At this point, most readers are aware (or should be) that at the time of the Battle of Chancellorsville a slight majority of the corps's total manpower was native born, and at both great battles the unit fought as well as might be expected under the circumstances. As one of the two corps detached from the Army of the Potomac to help save the besieged garrison at Chattanooga, the corps also fought well out west before being broken up. Until now, no dedicated study of the Eleventh Corps's Civil War service has been written. Attempting to close this gap in grand fashion, author James Pula addresses the deficiency in two volumes, the first of which was just released. Under the Crescent Moon with the XI Corps in the Civil War - Volume 1: From the Defenses of Washington to Chancellorsville, 1862-1863 "opens with the organization of the corps and a lively description of the men in the ranks, the officers who led them, the regiments forming it, and the German immigrants who comprised a sizable portion of the corps. Once this foundation is set, the narrative flows briskly through the winter of 1862-63 on the way to the first major campaign at Chancellorsville. 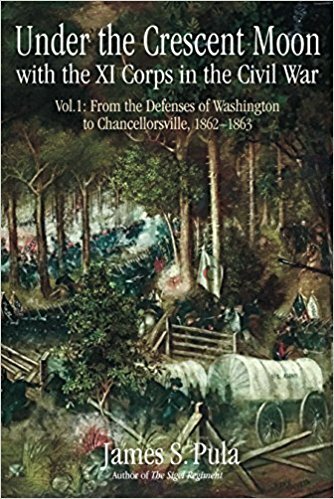 Although the brunt of Stonewall Jackson’s flank attack fell upon the men of the XI Corps, the manner in which they fought and many other details of that misunderstood struggle are fully examined here for the first time, and at a depth no other study has attempted." The book has the typical appealing SB presentation, but the cartography is surprisingly thin. There are four maps in all and only one generalized tactical map treatment for the entirety of the corps's controversial May 2 experience at Chancellorsville. 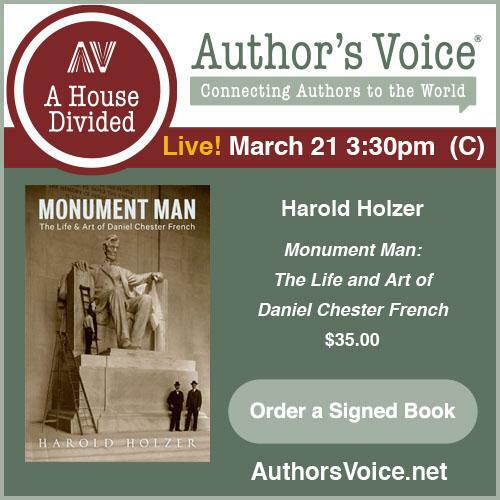 The description also informs readers about what to expect in the second volume, From Gettysburg to Victory. It will comprise "seven chapters on the XI Corps at Gettysburg, followed by a rich exploration of the corps’ participation in the fighting around Chattanooga, the grueling journey into Eastern Tennessee in the dead of winter, and its role in the Knoxville Campaign. Once the corps’ two divisions are broken up in early 1864 to serve elsewhere, Pula follows their experiences through to the war’s successful conclusion." 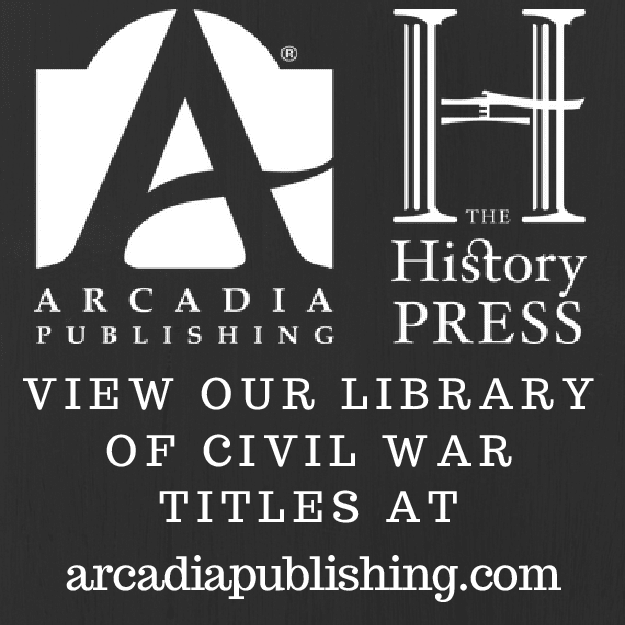 I was fortunate enough to publish Dr. Pula's "The Sigel Regiment: A History of the 26th WI Volunteer Infantry, 1862 - 1865," so was very pleased when this new opportunity arose to permanently document the incredible history of this major command (XI Corps). It's been interesting seeing corps (2nd and now 11th) getting attention again for pretty much the first time since the several turn-of-the-century corps histories. On a smaller note, I believe use of roman numerals to designate corps is a 20th-century thing and it bothers me to no end seeing histories do it for ACW corps. It's more appropriate application, but the Roman numerals annoy me more in the WW2 histories when I'm trying to keep track of all those high number German corps that fill the pages!